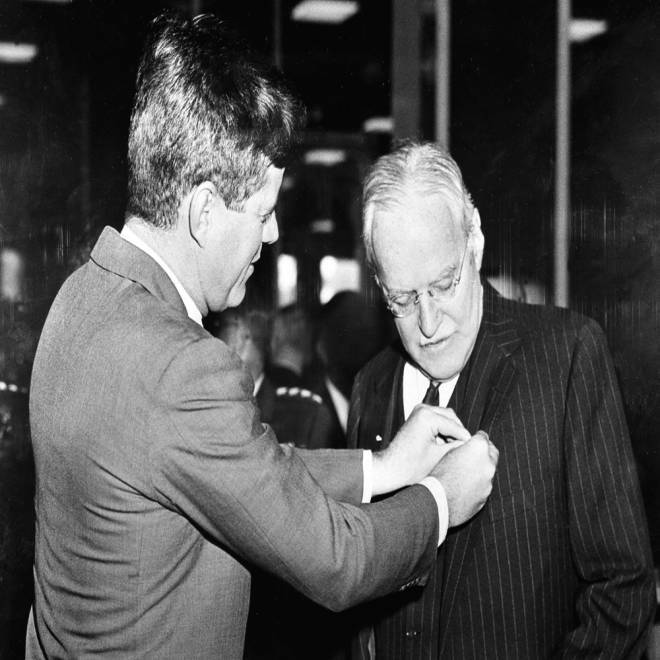 US President John F. Kennedy presents the National Security Medal to Allen W. Dulles, retiring Director of Central Intelligence, at the CIA headquarters in Langley, VA, Nov. 28, 1961. Attorney General Robert Kennedy was not a believer in the lone gunman theory. Like many Americans, he could not accept that a man as ordinary as Lee Harvey Oswald could have acted alone in assassinating the president of the United States, his brother John F. Kennedy. Who did he suspect was part of the plot? "Apparently Bobby Kennedy’s first suspicion was that it was some rogue element in the CIA," said Philip Shenon, author of a new book on the JFK assassination. But 50 years on, the Central Intelligence Agency remains a prime suspect for a portion of the American public. Polls show that about six in 10 Americans believe JFK was killed in a conspiracy, and a November Gallup poll found that 7 percent of respondents believe the CIA is the most likely culprit. As the nation marks the 50th anniversary of Kennedy’s death, NBC News is exploring some of the most compelling conspiracy theories that have lingered over the last half-century. President Kennedy — killed in Dallas on Nov. 22, 1963 — was thought to have had a prickly relationship with CIA brass, mostly appointed under his White House predecessor, Dwight D. Eisenhower. Heading the agency at the time was Allen Dulles. Below him were Richard Helms, the director of central intelligence, and James Angleton, chief of counterintelligence. 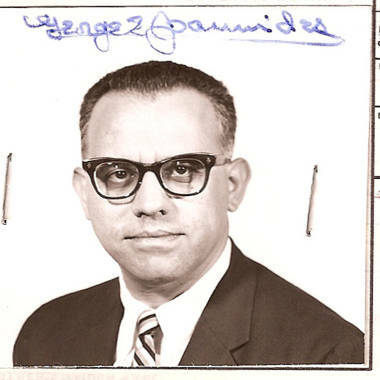 This undated photo from the U.S. State Department obtained by Jefferson Morley, a former Washington Post reporter and author, shows a passport photo of Central Intelligence Agency Agent George Joannides. Where the CIA under Dulles had spent years working to topple foreign heads of state — in Guatemala and Iran, for example — Kennedy preferred a more diplomatic approach, though he was not entirely opposed to covert operations. Before Kennedy, the CIA acted largely without restriction; under him that changed. CIA officials were reportedly deeply angered by Kennedy’s lack of support in the failed Bay of Pigs invasion to oust Cuba's Fidel Castro, a debacle that cost Dulles his job in 1961. Conspiracy buffs argue that Dulles's firing incited plans for an assassination. Kennedy was even once quoted in a New York Times report, by an anonymous source said to be a trusted aide, as saying he wanted "to splinter the CIA into a thousand pieces and scatter it to the winds," following the Bay of Pigs. But was Kennedy’s relationship with CIA leadership so strained that an assassination became the only resort? Here, perspectives diverge. “Apparently the Kennedy family had no particular hostility toward Dulles,” Shenon said, citing remarks made privately by Robert Kennedy. 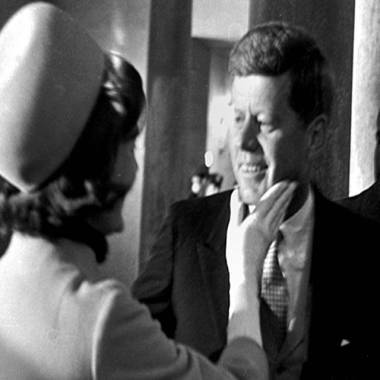 Moreover, according to Shenon and Dr. John McAdams, an associate professor of political science at Marquette University who self-identifies as a debunker of conspiracy theories, there is substantial evidence to suggest that Robert Kennedy recommended Dulles’ appointment to the Warren Commission, whose 1964 report on the assassination is the official account of Kennedy’s murder. Lyndon B. Johnson, who formulated the commission, writes in his memoir that Robert Kennedy recommended Dulles, too. It is not universally believed that Dulles took his firing poorly, let alone as cause for retaliation. “Dulles has to be a scapegoat (for the Bay of Pigs) and Dulles probably understood that,” McAdams said. McAdams is among those who accept that Oswald was a lone gunman, given the absence of hard evidence to the contrary. But even among pragmatists, some can’t ignore the notion of CIA involvement. For the past decade, Morley has been in a court battle with the CIA, using the Freedom of Information Act to try to gain access to classified documents he believes are crucial to the public record and will provide important insights into Kennedy’s death. The records are the work of deceased CIA agent George Joannides, who monitored anti-Castro Cubans in the South, a group that had brushes with Oswald. Because of those brushes, Morley believes the CIA was watching Oswald much closer than it has let on — and that the agency is concealing potential revelations vital to history. The CIA would not comment on the lawsuit, but the agency dismisses all accusations that it was involved in a conspiracy to kill the president. “While the CIA conspiracy theories make good fodder for movies, they are pure fiction,” spokesman Edward Price said. Morley does not subscribe to the idea that the CIA hatched an elaborate plan to kill Kennedy — only that it knew more about Oswald than it has ever acknowledged.